Mummy, why is your shower gel made of weed? is not a question I had planned to answer at 9am on a Saturday morning, but the Hempz range I’ve been trying out does indeed sport a jaunty cannabis leaf so, fair enough. 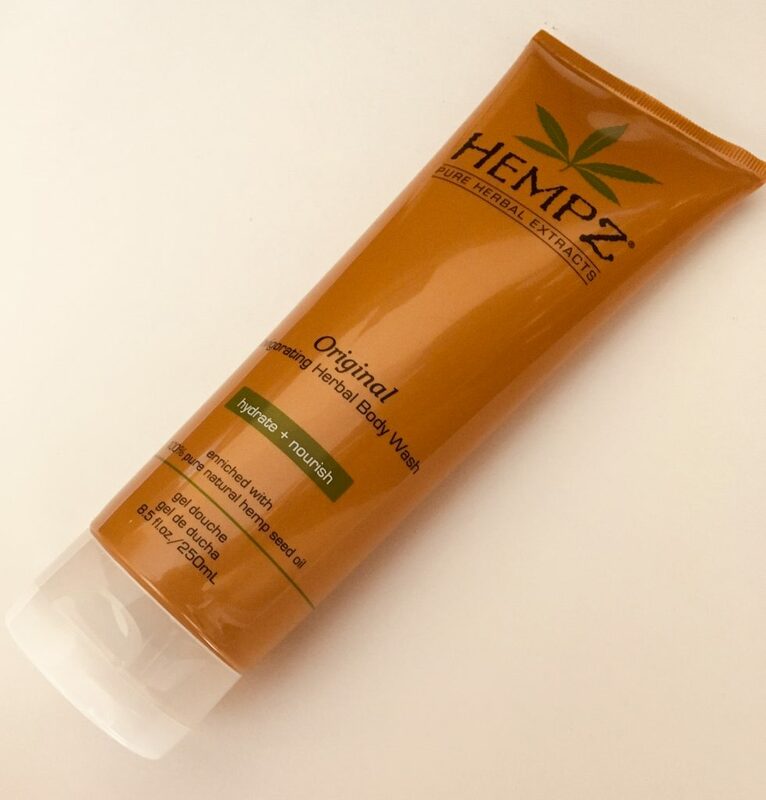 Hempz is a U.S. brand specializing in body and haircare products containing 100% Pure Natural Hemp Seed Oil. Its wide range of products are all paraben-free, gluten-free and 100% vegan. Newst addition to the Hempz stable is its range of Milk & Honey-scented products. As you can imagine from the name, the scent is sweet and delicious and really quite fudgy. The fragrance is a blend of essential oils, so it doesn’t contain any actual milk or honey and is still 100% vegan. Vanilla extract is listed in the ingredients so I think this is where the sweet aroma originates. I’ve been using the Milk & Honey Exfoliating Herbal Body Whip , Milk & Honey Herbal Hand & Foot Creme and Hempz Original Herbal Body Wash. In case you were wondering, none of them smells of weed. Which is a good thing. I get enough of that just walking around the streets of Brighton. 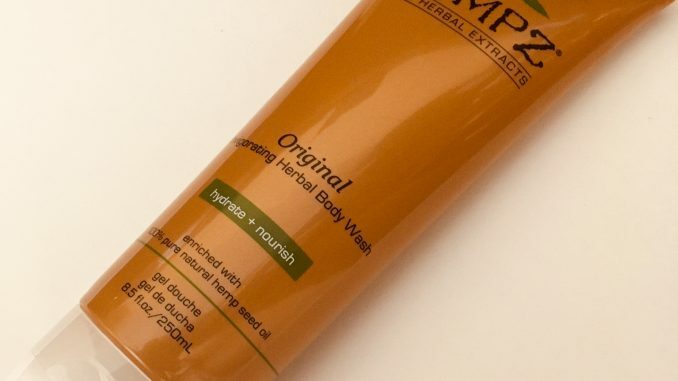 The Hempz Herbal Body Wash (RRP £15.99) isn’t that kind of herbal – the scent here is a fresh floral and banana combination. It’s got a thick, melted butter kind of texture, and is a moisturising, non drying body wash. Stand out ingredients include Shea Butter, Ginseng and Vitamins A, C and E. This is a good all rounder for the whole family to use, especially if you have dry skin. More natural ingredients in the Body Whip (175ml, RRP £17.99, on the left in the pic above). As well as the Hemp Seed Oil, you’ve got Agave Extract, Rice Extract, Jojoba Oil, Avocado Oil, Cocoa Butter, Shea Butter and Vitamins A, C and E.
Exfoliation comes via natural particles of finely ground walnut shell (no microbeads, yay!). The faux milk and honey scent means that using this body scrub is like rubbing yourself down with cake mix, and who hasn’t ever wanted to do that? 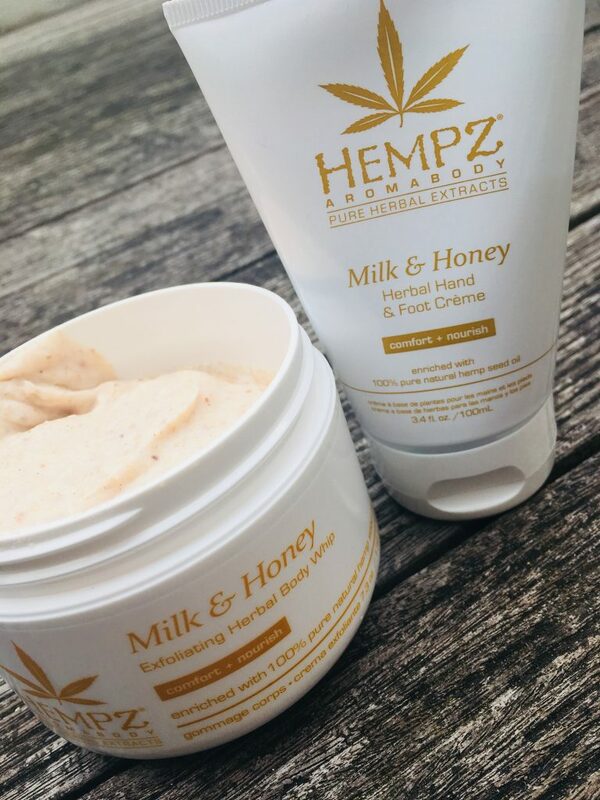 Hempz Milk & Honey Herbal Hand & Foot Creme (100ml, RRP £7.49) is a thick, deliciously scented cream. It puts me in mind of those vanilla patches you used to be able to get for your hands which apparently put you off eating too much chocolate. Well, I used it this morning and I haven’t had any chocolate yet, but it’s only 10am, there’s still time. This is a lovely range for anyone who prefers more natural products, or if you’re looking for something heavy on the moisturising front. The freaking out the kids factor is just a bonus. Hempz products are widely available via many retailers worldwide including Amazon.